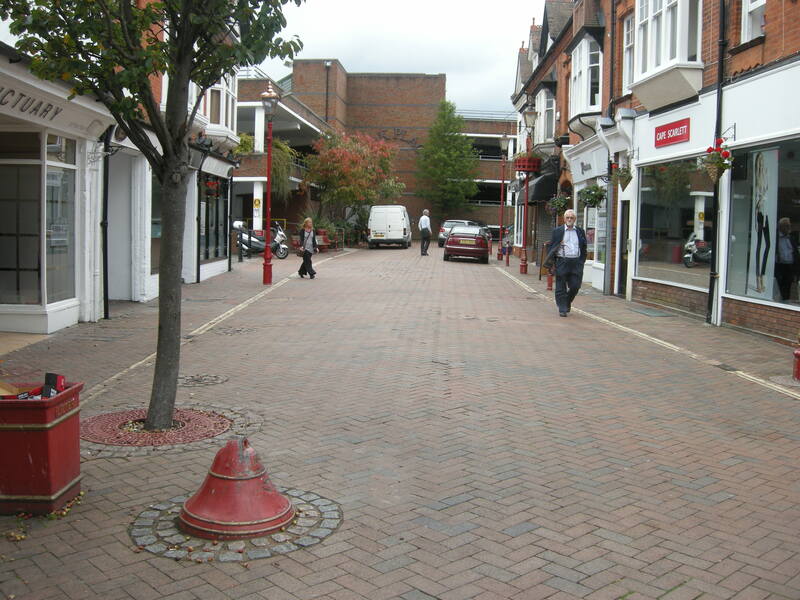 I have written, on a number of previous occasions, about East Street in Horsham. 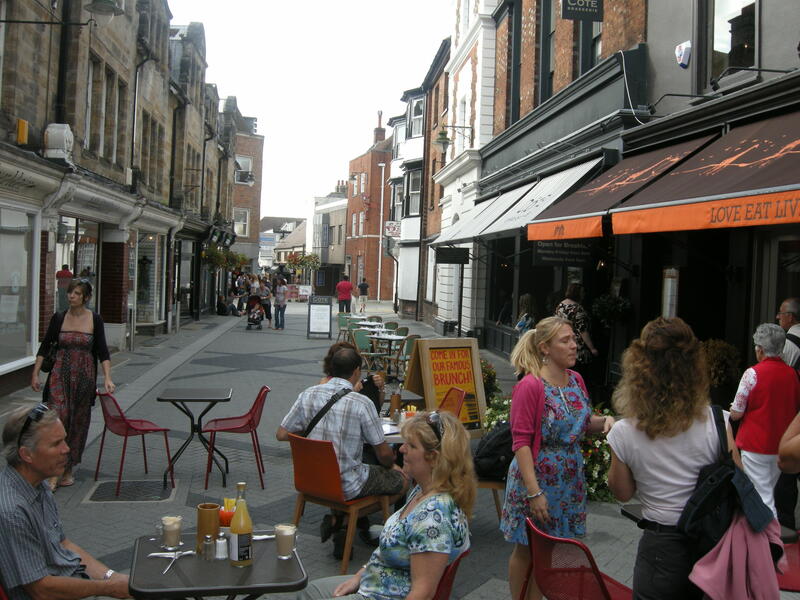 This busy, narrow street in the centre of the town was converted into a ‘shared space’ scheme over the course of 2010. Much of the background is contained within this earlier post. In principle, the conversion was a very good idea; the narrow pavements were replaced with a space in which pedestrians could mingle across the entire road width, in a relaxed fashion. Plenty of street furniture was incorporated into the redesign to ensure that the new layout, while still permitting motor vehicles to move through, did not look like ‘a road’ (this is a serious problem with Exhibition Road in London, which despite the new paving is straight and direct, without any obstacles or interruptions). 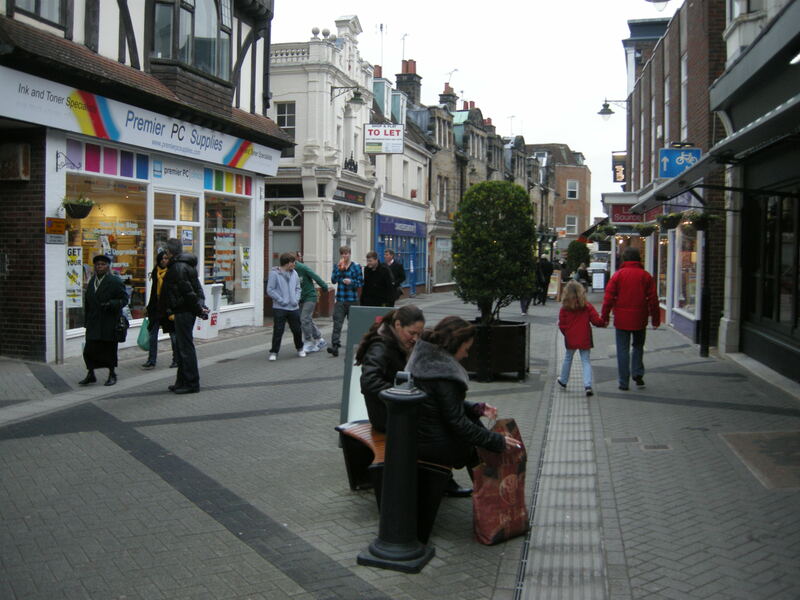 In addition, to ensure that pedestrians – who are by far the majority users of this thriving commercial centre – were genuinely able to ‘dominate’ East Street, the number and types of motor vehicles permitted to use the street was strictly limited; only to those vehicles loading on the street itself, and to the owners of disabled blue badges, who wish to park in the handful of marked bays. This should have worked. Having been initially sceptical about how the scheme would play out, I was genuinely enthusiastic about it in the early days of its implementation. People were sitting on benches, chatting in the middle of the street, their children were playing, and there were only a handful of motor vehicles using the street, being driven carefully in the great majority of cases. Bicycles, which were able to use this one-way street in both directions, without restriction, were also interacting with pedestrians in an entirely friendly and peaceable way. But there were several problems brewing. The first, and most serious, is that it has proved very difficult to stop the illegal use of the street by motor vehicles. Above, I was quite careful to specify that the movement of motor vehicles on the street, either for loading, or by disabled drivers, should be constrained to those loading or parking on the street itself. Unfortunately – and this is a problem that has grown and grown – a lot of drivers have proved unwilling or unable to comprehend these signs and the rules, and quite merrily drive down the street to gain access to the Carfax or Market Square. Delivery drivers, especially, should not be doing this, as they should know better – but the one-way system to get into the Carfax is circuitous (rightly so – this shouldn’t be easy for motor vehicles) and East Street proves too tempting a shortcut. The same is true of those drivers, disabled or otherwise (usually otherwise) who like to drive down East Street to get to the cashpoints in the Carfax, or to pick up friends, or to access bars, pubs and restaurants, or to do a ‘quick’ bit of shopping while illegally parked. Sit in a restaurant on East Street of an evening, and you will rapidly lose count of the number of vehicles passing down the street to park up in Market Square, or in the Carfax, or, seemingly, just to cruise through for the hell of it. Many of these drivers will also choose to park illegally on the street itself, outside of the marked bays, without blue badges, simply so they only have to walk a couple of paces to their restaurant of choice, instead of using the (free!) car parks a hundred yards away. Some drivers even try to get into the ‘anarchic’ mingling spirit of shared space by driving the wrong way up this one-way street, like L502 SFG, getting into entertaining pickles with vehicles coming the other way. Driving on the right, or on the left? Who cares! Note also – in addition to the hopeless driving – the number of parked vehicles and vans, with their engines running. This really isn’t good enough for a street redesign that was supposed to be all about pedestrians, and which set out to exclude the maximum number of motor vehicles. To be fair to Horsham District Council, they have been making some attempt at enforcement, ticketing illegally parked cars and informing people of the rules, which aren’t all that hard to comprehend. Unfortunately, with wardens on the street for only a tiny portion of the day, the problem is proving insurmountable. 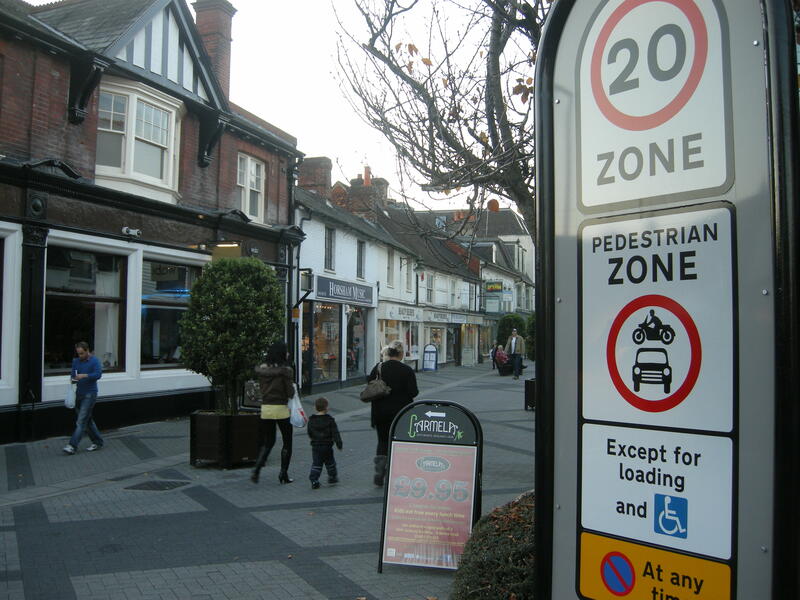 A related problem is the destruction and/or removal of the street furniture put in place to slow drivers, and to change the appearance of the street from a ‘road’ into a space dominated by people. 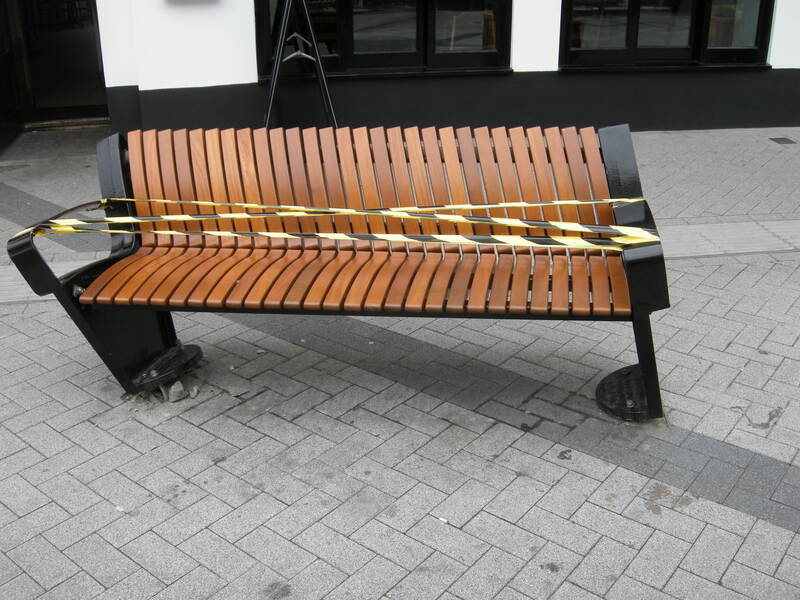 Only two benches remain on East Street out of the six that were initially put in place. At least two of these were crashed into by motor vehicles, then removed, and not replaced. The bench that the two ladies are sitting on in the photograph below has also been removed, I’m not sure when or for what reason. The heavy box planters are also continually being shifted sideways (I am guessing by delivery drivers who are too incompetent or impatient to drive around them) onto the ‘pavement’ at the sides of the street. These features were crucial to the way the street presented itself; and so, unfortunately, what looked like a space through which it would be inappropriate to drive a car increasingly looks like a road with the occasional box at the side of it. Add in the parked vehicles that are almost continuously on the street, and it has become more and more natural to drive down this street, in defiance or ignorance of the rules, because it looks more and more like a place for cars. Another problem is that most people shopping and mingling on the street really weren’t all that keen about ‘sharing’ the street with lorries, vans and cars. They wanted a relaxed space in which they could stop and chat, and in which their children could play; that could be achieved far more simply in the absence of motor vehicles. The photograph below was taken at 1pm. And the final problem – what appears to be the decisive one – is that the increasingly large number of restaurants on the street wanted to use the street space itself for open air dining. This has happened already on a few weekends last year; the street was closed to vehicles, to allow tables and chairs to spill out onto the street. Naturally enough, on such a narrow street, tables and chairs are incompatible with the movement of lorries and vans, and something had to give. As summer approaches, it appears the council have yielded to this pressure, and to the wishes of the majority of the shops on the street, and the people using it, and will from the start of next month implement a total closure to motor traffic between the hours of 10:30am and 4pm. The simple solution would be to ban vehicles, at the very least between 10am and 4pm. This was, in fact, the solution applied during a trial period in 2008-9 – deliveries were made outside of these hours, and the street was closed to traffic at peaking shopping hours. However it seems that just two shops are insistent upon having deliveries to their front door at all hours of the day – so ruining the street environment for all the pedestrians that use the street, and also for the vast majority of retailers that would like to see the street fully closed to traffic, for at least the majority of the shopping day. I did get something wrong – it turns out that there are three, instead of two, shops out of the 32 on East Street who still insist on having deliveries made at all hours of the day. Eventually it will lead to my business failing. It’s going to have a negative impact on my sales as deliveries will be difficult. Times are hard enough as they are. I’m self employed, run a business and have enough to worry about. I don’t think Mr Jones needs to be quite so pessimistic. For a start, there are two large windows for delivery, before 10:30 am in the morning, and after 4pm in the afternoon. It should be possible to reschedule deliveries into these periods, when the street is not closed to motor traffic. In addition, even when the street is closed to delivery vehicles, it should not be impossible to make deliveries to his shop – nor indeed to the other two shops objecting to the closure. All three lie a matter of yards from Denne Road, where delivery vehicles are frequently parked while servicing the handful of shops and restaurants on that road, right next to East Street. The cul-de-sac of Park Place is also just around the corner from these objecting retailers; loading vehicles could park in there during the hours that East Street is closed and transport their goods on foot. This is entirely possible; it’s just a slightly longer walk than would be involved when vehicles parked in front of the shops. On 2 March 2009 the Committee was informed there were twenty-three formal objections to that scheme [the temporary closure], many of which related to the restrictions imposed on loading and unloading. One of those unresolved objections related to a legal challenge under the Disability Discrimination Act that the scheme was too restrictive for disabled persons. This is a quite preposterous legal challenge, because it starts from the assumption that a car is the only way in which disabled people can access shops and services on East Street, with the attendant consequence that they should be able to park on the street, at all times. This is not true, of course. Disabled people can, and do, use other means of getting about. Indeed, they have to, especially as most of the town centre of Horsham is pedestrianised. You cannot drive a car down West Street, the main shopping street. This has been permanently pedestrianised for decades. Nor can you drive a car through the Swan Walk shopping centre. Because it’s a shopping centre. No legal challenge has been mounted to Horsham District Council about the inability to park up outside BHS inside the shopping centre. At least as far as I am aware. Disabled people quite obviously have to use different modes of transport to arrive at their final destination, and to move around within it, other than their car, because a car cannot go everywhere. This is the case even on East Street under the current, open, arrangement – disabled drivers can park on the street, but only in the handful of marked bays, which quite obviously do not lie in front of every shop. They only lie in front of a few of them. Disabled drivers who park in these bays will be using their legs, supported by sticks, or they will be using wheelchairs, or frames, or mobility scooters, or the help of friends and relatives, to get to the shops and restaurants they might wish to use. Naturally enough, they cannot park within the shops and restaurants, or even right outside them. This is where the legal challenge starts to unravel, because in principle nothing will change when the street is closed. 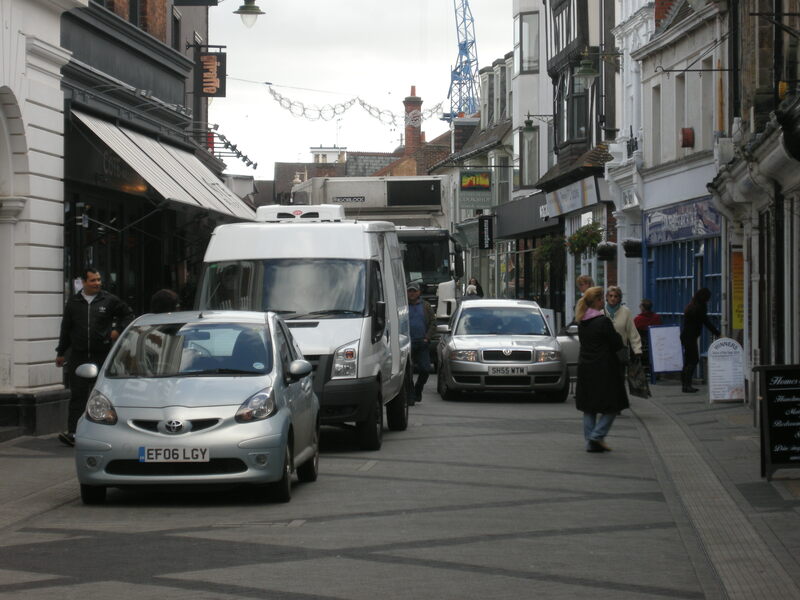 Disabled drivers will still be able to park, for free, in marked bays, a short distance from the shops on East Street. It is just that those bays, a short distance from the shops they wish to visit, will be in car parks right beside the street, rather than on the street itself. The amount of extra distance involved is marginal, as you can see in the map below. 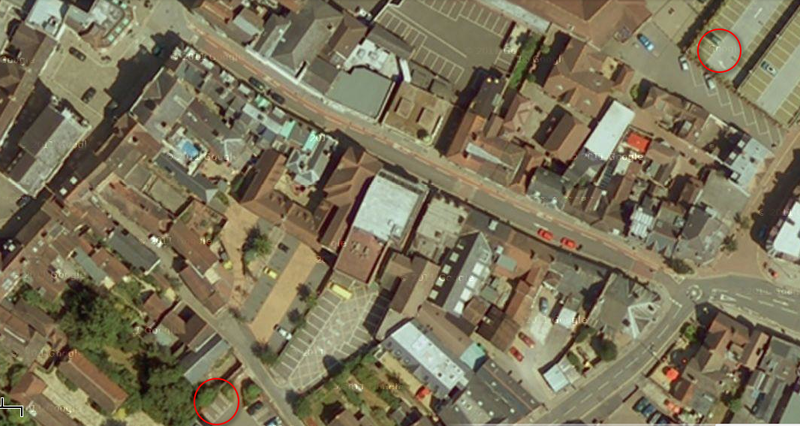 East Street is the street running roughly horizontally across the image, with the two red cars parked on it (this satellite image predates the conversion of the street into shared space). The two red circles mark the locations of the disabled parking bays in the two closest car parks, Denne Road to the south, and the Piries Place car park to the north. From both locations, there is direct pedestrian access to East Street. Quite why this absurd legal challenge still presents a threat to the closure of East Street, then, is beyond me, and the sooner it is dismissed the better. Because, needless to say, I think the closure is a great idea, and Horsham District Council should be applauded for going through with it. The gains for the people who are actually doing the shopping achieved by the street redesign and traffic restrictions – the people on foot and bicycle – will be locked in by this closure. The street will be a more civilized and humane space without motor vehicles running though it. Paradoxically it will be better for disabled people using it, those who are not in their cars. I’m thinking especially, although not solely, of the blind, who have some difficulty negotiating shared spaces with motor vehicles. This difficulty will be eliminated during the hours of closure. It should also be noted that outside of the hours of closure the restrictions on traffic movements will remain; the closure has not been ‘purchased’ by opening the street to all motor vehicles at other periods. Naturally enough I hope that Horsham District Council continue to attempt to enforce the rules, because I think the vitality of the street depends upon a limited number of vehicle movements, at all times, especially in the evening when the physical restrictions on entering the street will disappear. The proposed closure of the street to motor traffic during the day is the simplest way of cementing that vitality, and is a wonderful step forward. 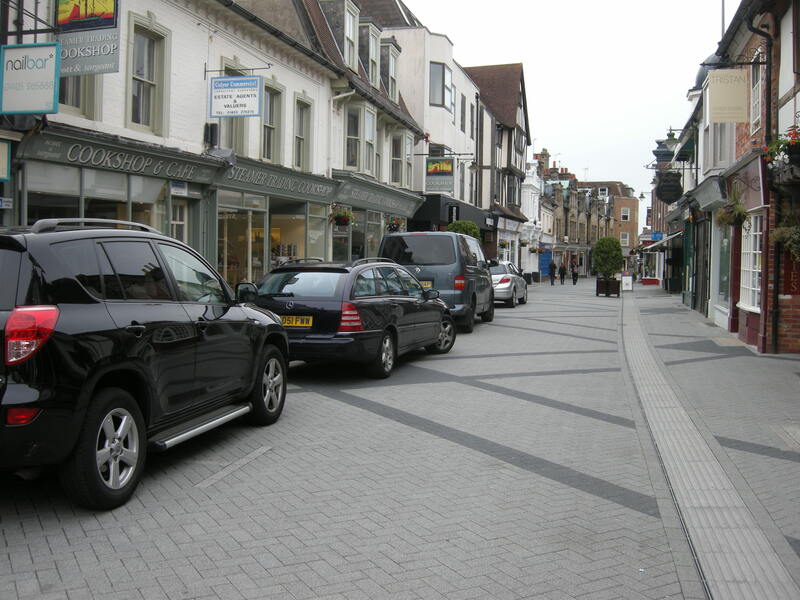 This entry was posted in Car dependence, Horsham, Horsham District Council, Shared Space, Street closures, Uncategorized. Bookmark the permalink. I learnt first hand that simply having a car in a busy city (this case central London) wasn’t always the best way to get around when I was a mobile IT technician. I often found it much quicker, simpler and less stressful to park in a car park roughly central to the jobs I needed to attended and then walk around. Having spent over an hour once driving down Regent Street, Piccadily and Haymarket to park up near Trafalgar Square I was well and truly cheesed off! The selfishness of some motorists genuinely knows no bounds and really empathises the “car is king” culture that has been instilled in this country which desperately needs to be reversed. This is NOT London, there is no tube network. The excuse that rules cannot be enforced is fairly pathetic. East street will now just become covered in chewing gun and be as revolting as West Street. The creeping pedestriansation is not something to be celebrated. Use of cars is absolutely essential except for the tiny minority who live near the town centre, or are fit and young enough to reach there without a car. Buses are only used by kids and OAPs for good reason – they are slow, uncomfortable, infrequent and indirect. Is Crawley town centre a paradise? Your comment is curious in several respects. Chewing gum is already being left on East Street with vehicles driving down it. You seem to be suggesting a causal relationship between pedestrianisation and the leaving of chewing gum, a relationship belied by its appearance on the street under its current arrangement. I hope you do not believe that motor vehicles have the curious ability to discourage the dropping of chewing gum on a street; if you do not, I am not sure of the pertinence of your point. 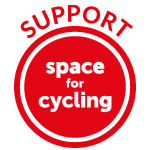 Likewise, while I can agree that the use of cars is essential for some people – although I expect we might disagree about the size of that group – it is certainly far from essential for people to drive down East Street. As I have pointed out, there are two car parks barely fifty yards away from the street. The Carfax is still accessible via Blackhorse Way. There is no need for any person to drive down East Street, beyond those drivers who are making deliveries to the shops and restaurants on it. Finally, East Street is without question one of the best environments in Horsham. It is only going to get better with the temporary street closure. There will be al fresco dining all through the summer, children playing in the street, and people on foot and on bicycle progressing through, relaxed, and in safety. What you refer to as ‘creeping pedestrianisation’ (how sinister!) will prove to be quite wonderful. The vast majority of people are fit enough to manage a mile or four on a bike. Its not heavy excercise. And the vast majority can safely and easily use the bus. The alternative is roads so congested with cars as to make most or all journeys slow and unpleasant. Why is that a good thing?